Scratch: Writers, Money, and the Art of Making a Living – loudlatinlaughing – Euge! Euge! 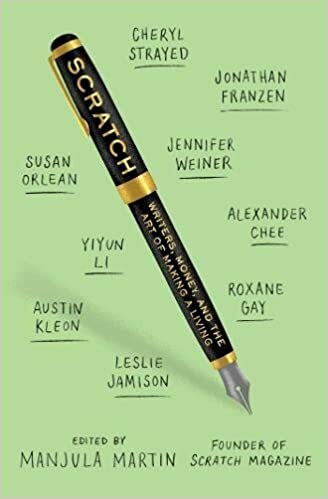 Brilliant book of essays wherein various authors open their kimonos to show specifics about how much they make and what they do to pay the bills. Overwhelmingly helpful advice from the women and somewhat cagey non-disclosure from the men (Austin Kleon, Jonathan Franzen, I’m looking at you). An inspirational read that has several frank essays which gave me hope, clarity, strength, and bread crumbs to other writers I want to read (Porochista Khakpour, Leslie Jamison, Emily Gould, Meaghan O’Connell, Sarah Smarsh). BOOM: A lot of people seem very concerned about the change that those Google buses signal in San Francisco. Do you share those concerns? RICHARD RODRIGUEZ: No, because I’ve always loved wealth. I’ve loved being around it. If I knew you were wealthy, I would have made friends with you in grammar school.